Late last week, the California Governor’s Office of Emergency Services issued an Earthquake Advisory notice directing the public to prepare for an increased probability of earthquakes over through October 7. The Advisory was unusual and was issued following the observation of an “earthquake swarm” near Bombay Beach, California, that started on Sept. 26, 2016, beneath the Salton Sea, which lies near the southern end of the San Andreas Fault. The initial earthquake swarm was made up of almost 100 earthquakes, including three exceeding magnitudes of 4.0 on the Richter scale. On September 27, the U.S. Geological Survey announced preliminary calculations showing that there was up to a 1 in 100 chance of a magnitude 7 or greater earthquake occurring on the southern San Andreas Fault through October 4. The USGS subsequently revised these calculations on September 30 to indicate up to a 1 in 500 chance of such an earthquake through October 7. The probability revisions corresponded to a decrease in earthquake swarm activity. These estimates are made using the Uniform California Earthquake Rupture Forecast model (UCERF3), combined with the most recent probability modeling of the likelihood that an earthquake aftershock could be larger than its 4.0+ magnitude mainshock. The initial Advisory was issued the same day that California Governor Jerry Brown signed legislation designed to advance the development of the earthquake early warning system in California. In 2013, California previously enacted legislation mandating the creation of an earthquake warning system led by Cal OES in concert with the California Integrated Seismic Network, the USGS and others in both the private and public sector. The legislation signed on September 29 of this year, SB 438, establishes the California Earthquake Early Warning Program and Advisory Board within the California Governor's Office of Emergency Services to advance the implementation of the program and to encourage further investment in the early warning system. The risk of a San Andreas-based earthquake causing catastrophic losses hardly needs explanation to even the most casual reader. Both the 1906 San Francisco earthquake and the 1989 Loma Prieta earthquake were caused by movement along the San Andreas Fault. Beyond the loss of life, the loss of real and personal property, public infrastructure, and related economic losses added up to billions upon billions of dollars. 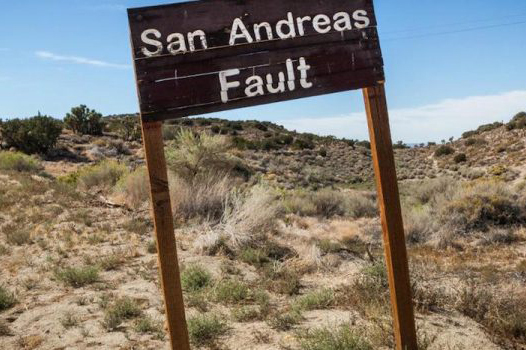 More recently, the USGS predicted that a magnitude 7.8 earthquake along the southern San Andreas Fault, an event consistent with the Cal OES Advisory issued last week, could cause about 1,800 deaths and substantially more than $200 billion in property and economic losses. While an early warning system might only provide a handful of seconds advance notice of an earthquake, even such a tiny amount of time could save lives and vast sums in property and economic losses. Mexico and Japan have invested in early warning systems and related automated safety/loss mitigation systems that have delivered positive results. With experts predicting the risk of “the next big one” to be on the rise, it would appear that we will have the opportunity to evaluate the effectiveness of California’s investments in its early warning systems sometime in the not-so-distant future.